(Newser) – Heard of the long-lost "White City" or "City of the Monkey God"? A group of experts who entered a Honduran rainforest in search of it emerged last Wednesday saying they have found a lost city—one that's totally untouched, National Geographic reports. 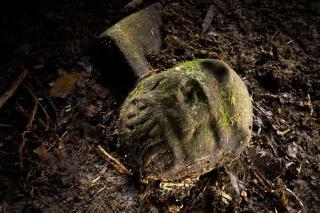 As writer Douglas Preston explains, "Archaeologists no longer believe in the existence of ... Ciudad Blanca, as described in the legends" but suspect there are many such cities secreted away in this rainforest, "which taken together represent something far more important—a lost civilization." This find points to that: an unnamed, "scarcely studied" civilization that apparently flourished a thousand years ago and disappeared. Among the exposed remains are an earthen pyramid, mounds, large plazas, sculptures, and ceremonial seats. More may be buried, and a team member dates what was found to AD 1000 to 1400. Now they could say pyramid shaped mound , but an " earthen pyramid " is a mound. Yet another "Long Lost Civilization" is found. When will someone finally put their GED to good use and just admit these people were just as nomadic as the plains Indians, moving to where the food, water and less enemies were while maintaining their core beliefs and traditions ?!? You know.........Like Tea Partiers ! ! ! !